For 31 consecutive days, D.C.'s Downtown Holiday Market will bring warmth and holiday cheer to our cold little hearts! Want to get some holiday shopping done and find unique gifts for everyone on your list? Looking for a quaint, fun holiday outing with friends and family? 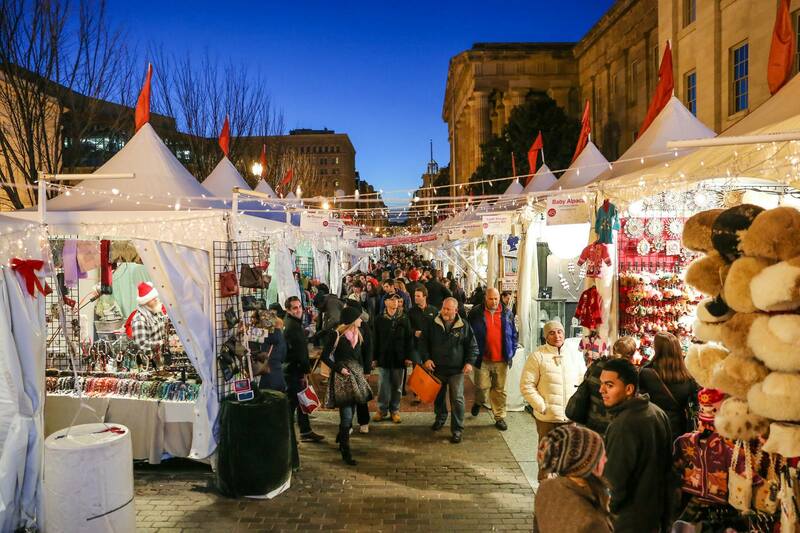 Don't miss the Downtown Holiday Market this season in Penn Quarter/Chinatown. Starting Saturday, November 24, and lasting through Sunday, December 23, the market will be open from noon to 8 p.m. every single day. Most of the action will be centered at 8th and F streets NW. This will be the 14th year that the holiday market is open, and it always receives a ton of buzz and high attendance. With over 150 local and regional vendors (most of whom will be selling their own artisanal products), you can buy everything from clothes to art to décor. And make sure you visit the market several times because the vendors rotate daily, so there will always be something new to check out. Live entertainment will also be different every day to keep everyone merry as they go around the booths. Of course, food and warm drinks will be available for purchase, and the location of the holiday market makes it perfect for those who want to grab dinner after all that shopping. There are many great restaurants in the Penn Quarter/Chinatown area. Find more details on their website here. 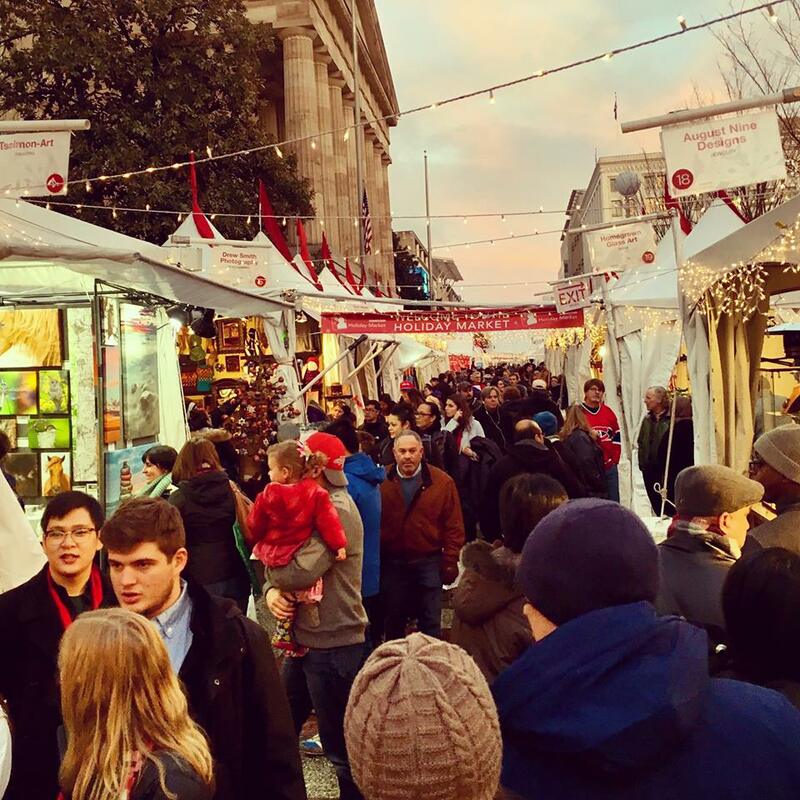 What is your favorite part of the Downtown Holiday Market in Washington, D.C.? Share your thoughts with us know in the comments below! Looking for a Christmas market with a more German flair? Check out the German Christmas Village in Baltimore!